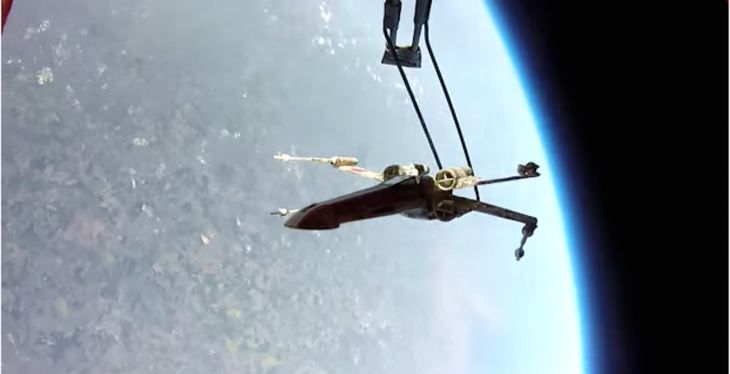 Two guys from Essex had a plan – to photograph the Earth from space and grab the attention of ‘Star Wars: The Force Awakens’ director JJ Abrams. It looks like they’ll manage it after getting an X-Wing into orbit. The Project Helium Tears is the latest mission from the Essex Space Agency – aka Matt Kingsnorth and Phil St. Pier. Now they’ve grabbed their images from high above the Earth – using high altitude balloons and GoPro cameras – they’ve just got to nab that premiere invite.